<!- CHANGE THE TITLE IN THE LINE BELOW --> "A promo bracelet made from artwork I painted at a L'Oreal/Vichy press conference. I created paintings out of fashion magazine editors concepts of beauty. 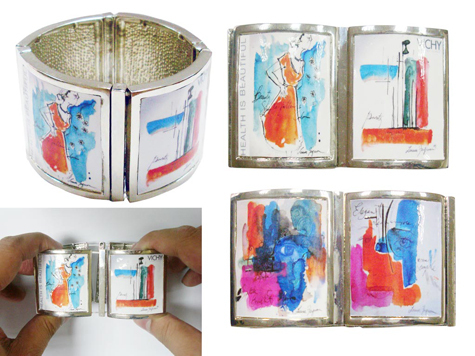 The resulting images were used to make this bracelet "